Air gaging is a powerful metrology method and first started ensuring quality in the late 1910s. Early versions of such systems were regulated by bubbling air via a level of water within a cylinder, in which air was also passed. The technique utilizes compressed air to measure changes in flow rates and pressure. Oftentimes, air gages are employed in tests where the distances between a workpiece and the precision orifices needed to be measured. Air gages have the ability to measure small tolerances because of the reliability and magnification they can provide. A resolution as small as 0.00002 inch can be achieved! If you need to measure extremely thin-walled parts for soft materials, air gaging is the noncontact solution you can count on. If you are looking for an air column amplifier, you should consider the Mahr Federal S1840 Air Column Amplifier. Let’s find out more about this amazing product in this product spotlight! Mahr Federal is a well-known brand within the metrology industry. Whether you specialize in the business of manufacturing optics or work in a calibration lab, Mahr offers a stellar array of solutions that meet the measuring needs of a wide range of professionals. Their products are highly sought-after due to their exceptional ease of use in production. The company was founded in 1861 and has been offering a wide spectrum of solutions for precision measuring tasks since their inception. As a recognized application specialist, Mahr Federal offers a complete range of air column amplifiers. Get Mahr Federal S1840 Air Column Amplifiers from Willrich Precision! 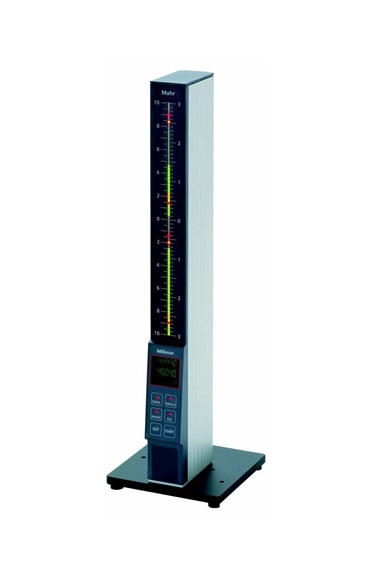 At Willrich Precision, we offer the latest models of air column amplifiers, including the Mahr Federal S1840 Air Column Amplifiers. We have been in the business for more than four decades and provide top-notch solutions for gaging, inspection, and metrology. You can be sure that we are also ISO:9001:2008 Registered and have the resources to provide repairs and calibration solutions. We aim to allow our customers to enjoy complete peace of mind whenever they need to order metrology products from us. We achieve this by creating a site that is secure and easy to use from the get-go. If you wish to know more about our Mahr Federal S1840 Air Column Amplifiers and the benefits they provide, do not hesitate to contact us today.